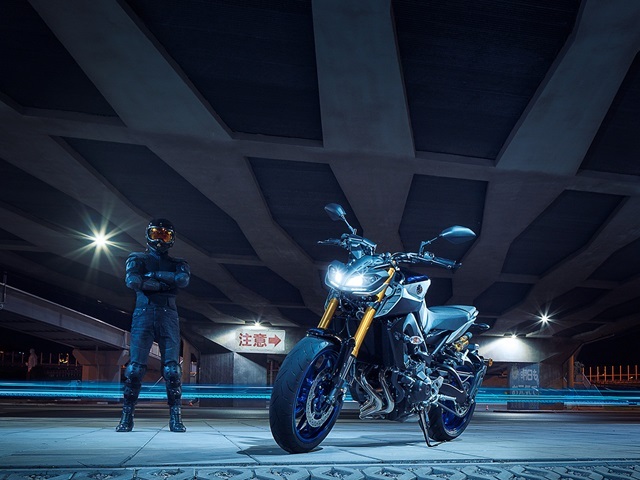 This dynamic MT-09SP is built to inspire today's generation of thrill seeking riders like no other bike in its class. 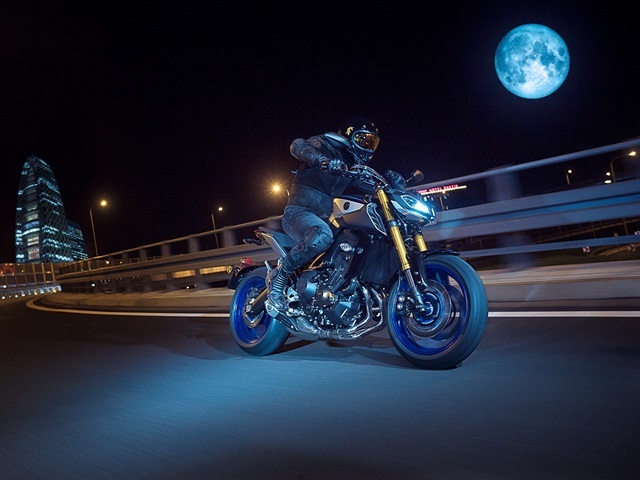 The SP features the same intimidating LED twin-eye face, explosive high torque triple engine, ultra-sharp front winglets, radiator side fins and refined bodywork. 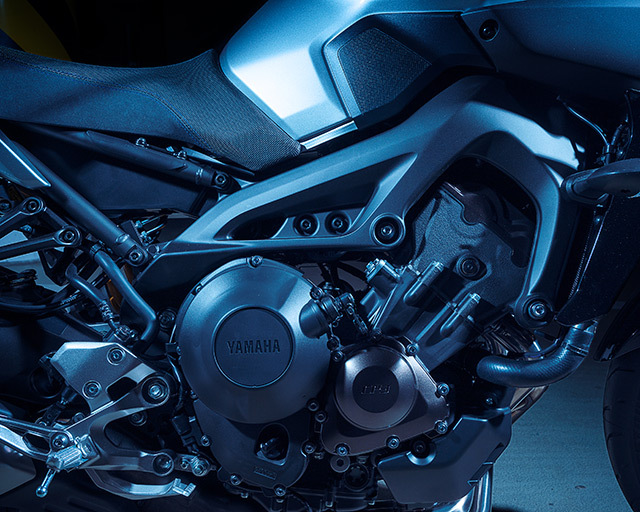 But your riding experience will be transported to the next level thanks to the addition of upgraded Öhlins rear suspension and two-way compression adjustable forks similar to our R6 supersports model. 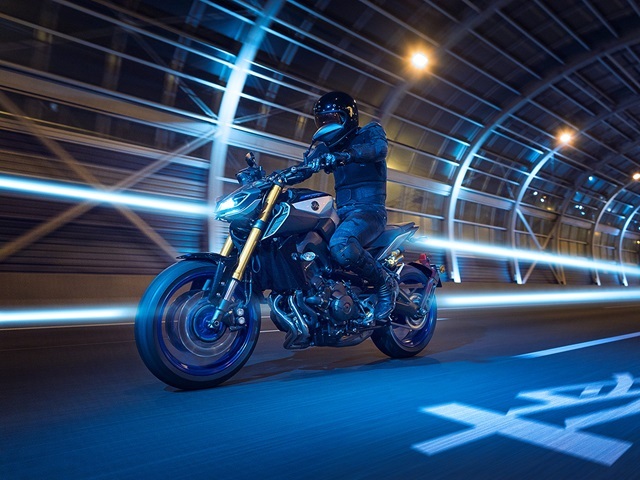 The SP also gets black bars, trick new dash, a double stitch seat, model logo graphics on the wheels and an eye-catching colour scheme that echoes the big dog MT-10SP. 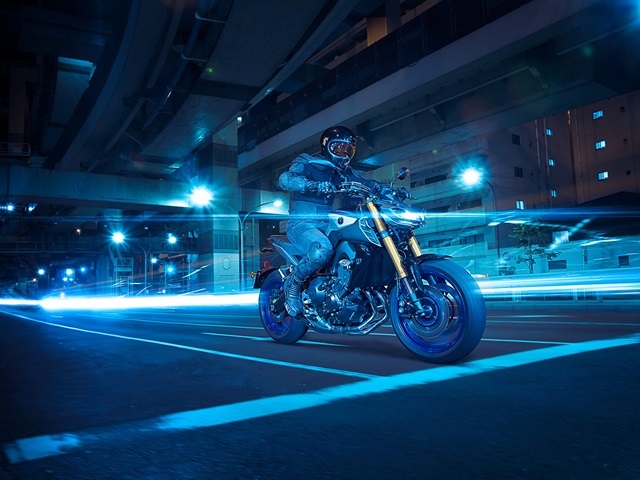 The MT-09SP's 3-cylinder engine has been developed to embody the essence of Yamaha's 'crossplane philosophy' which is designed to ensure instant throttle response together with strong low to mid-range torque. 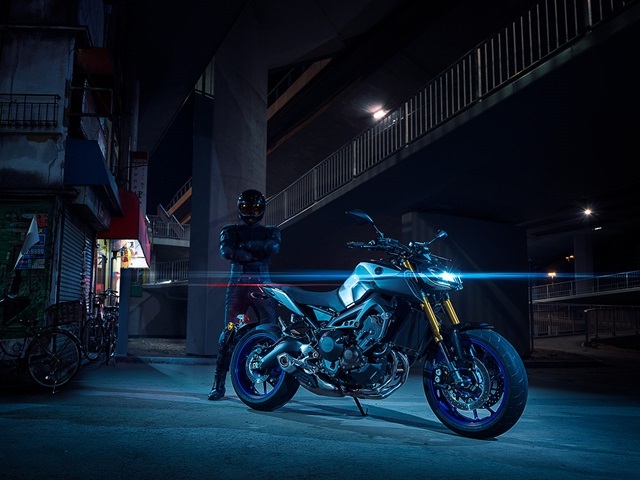 The MT-09SP features an aggressively styled twin-eye headlight assembly that gives this best-selling Hyper Naked a more menacing look. 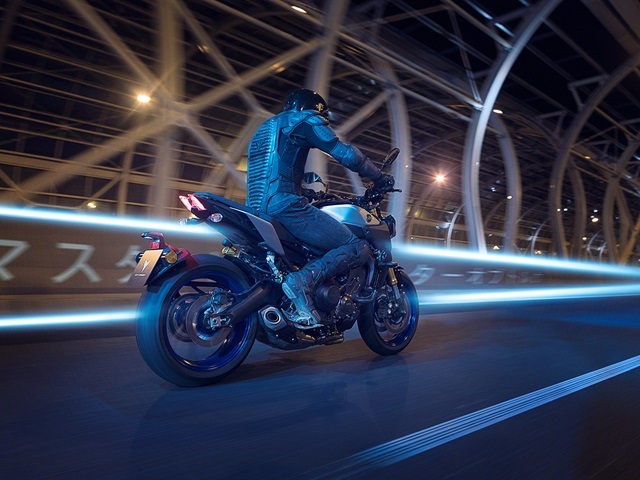 Inspired by the flagship MT-10SP, the slanting dual headlights are equipped with four LED bulbs, accompanied by dual LED position lights.